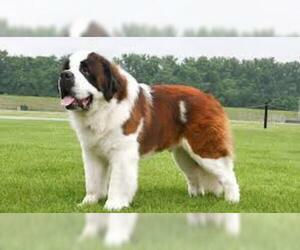 Overview: The Saint Bernard is a brave and sturdy working dog. 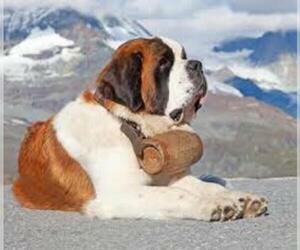 Well known for its rescue work in the Alps, he's just as suitable to being your family's big bundle of affection. These guys are great with kids and enjoy being included in family activities. 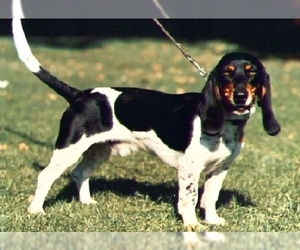 Colors: White with red, red or brindle with white; white must appear on chest, feet, tail tip, noseband, and collar (or spot on nape); ; may have dark mask and ears. 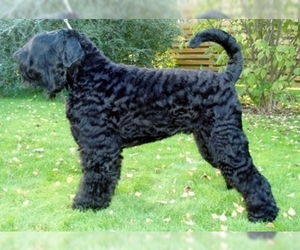 Coat: Its coat comes in two types: smooth in which the short hair is very dense and tough; and long, in which the medium length hair is straight to slightly wavy. 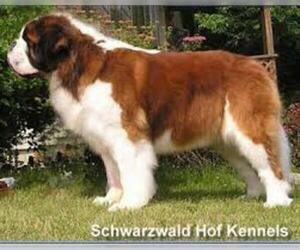 Character: St. Bernards are very friendly and excellent with children. 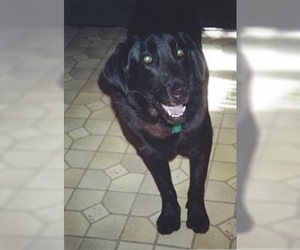 They will defend property and people with intense loyalty. 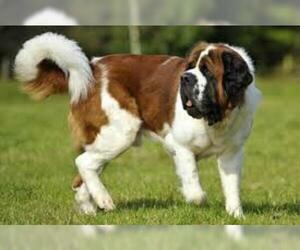 Temperament: This breed can get along well with all children, other dogs, and household pets. 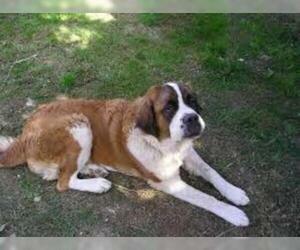 Care: The Saint Bernard requires regular grooming with a brush and comb. 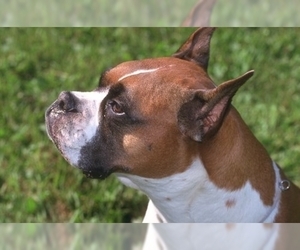 The ears should be kept clean and the eyes checked regularly. 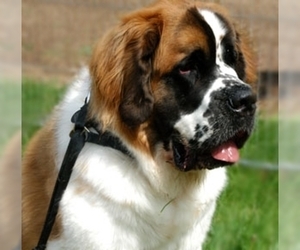 Training: This breed must be taught early not to pull on the leash. 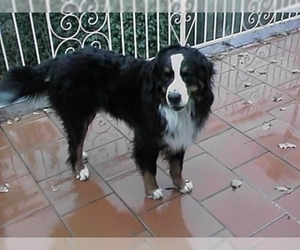 They require a good deal of patience and understanding during training. 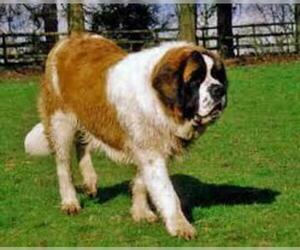 Activity: A St. Bernard needs an average amount of exercise, so three short walks a day will be fine. 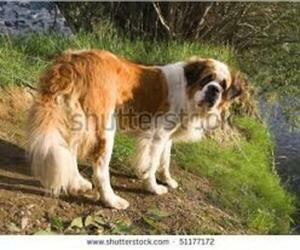 Throw in an occasional long walk and the chance to run free. 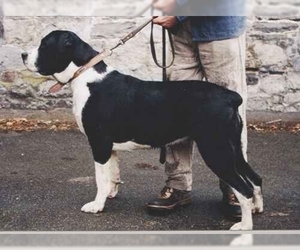 Health Issue: This breed is prone to heart problems, skin problems, heart disease, ectropion, and pituitary problems (wobbler syndrome).